Knee joints pains are common fibromyalgia symptoms. It's marked by pain on light pressure of muscles insertion on or around the knee joint as well as muscle pain of those muscles. As we'll see in the fibromyalgia treatment, injecting those sore muscles and insertion gives a good relief. However, the relief is incomplete unless an intra-articular injection is done in addition. The same partial relief is obtained if only the intra-articular injection is done. We now know that substance P is found in excessive quantities in the sore joints of fibromyalgia sufferers. Those types of combined origin to the pain (muscle spasms and toxins) are common in fibromyalgia that has also been named polyarthralgia. Polyarthralgia is defined as pain in many joints. This is also typical of the fibromyalgia chest pain. Many small joints are involved as well as many postural muscles all around the chest. Fibromyalgia fatigue is also explained by the continuing uncontrolled contraction of muscle cells without relaxation and by the toxins release. It is also certain that fibromyalgia pain is a combination. Muscle spasms are sore and toxins gives pain! This is why the variety of problems are often referred as signs and symptoms of fibromyalgia. The same applies to headaches and migraines where neck pain plays an important role in their appearance. Other muscles are involved such as the temporal muscles, frontal muscles etc. At the same time, toxins play a big role in increasing the headaches or in starting up the migraines. The sleep disturbance is also a combination. Muscle pain is so bad that falling asleep is difficult. In addition, the slightest movement during the sleep wakes up the fibromyalgia sufferer. The release of toxins makes matters worse by changing the sleep pattern. An interesting point is the morning stiffness. Normally during our sleep, our muscles and ligaments shrink down and we all have some morning stiffness. However, in fibromyalgia sufferers, the morning stiffness is worse because it is sore! The depression and anxiety secondary to fibromyalgia are important in that they are difficult to control as the chemical imbalance they represent is aggravated by the release of toxins. These increase the “not feeling well” process and anxiety climbs up as no one seems to understand what is happening. The fibromyalgia chronic pain is also cause of secondary depression and anxiety as it happens with all chronic pains. Understanding fibromyalgia symptoms, is also understanding the role of the muscle cells spasm. 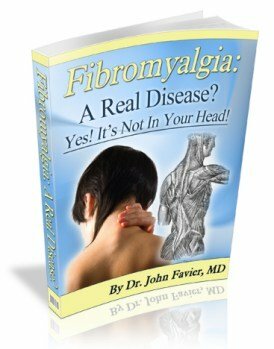 Finally some fibromyalgia symptoms can be explained by the excessive release of toxins.